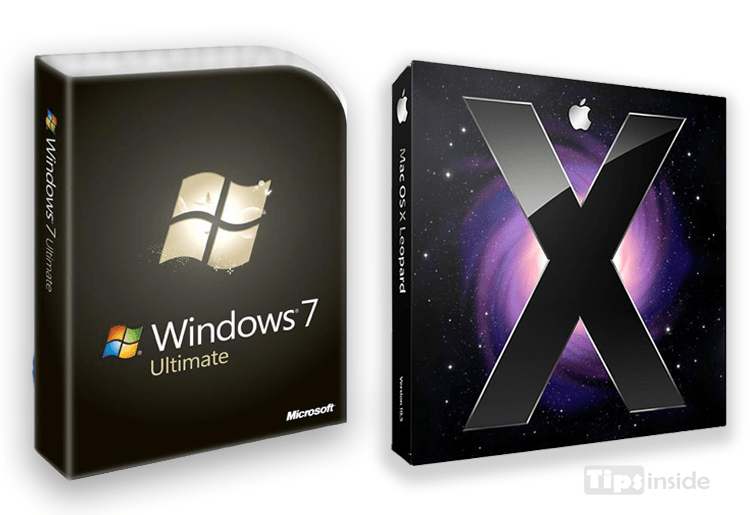 Today, both the operating systems, Windows 7 and OS X, have been enhanced with newer technologies. Although not many users have Apple OS on their devices, but it successfully manages to satisfy their needs. They have already begun to broaden their horizons, which can be clearly seen in their recently introduced products. Windows 7, on the other hand, has gained quite a few positive reviews, which has kept it in good stead. Windows 7 is the most widely used the operating system in the world. Their upcoming version has also already garnered good word of mouth among various other technologists. The Apple devices run on software called as OS X, which has been developed by the company itself. Mac systems are a brilliant blend of technology and design. The OS X is quite different from the Windows operating software. Apple OS does not have a task bar. Instead, you’ll see the OS dock which is quite popular. Any programs or applications that are opened are held in the dock. While many hail that OS X is superior, Apple has a limited market share when compared to what the Windows enjoys. While Apple is making more inroads to develop its customer base across other nations, the gap is still very huge. As a result of this, not many people are comfortable operating the iOS, and they quite familiar with its features. This is a disadvantage in more ways than one. On the other hand, Windows operating systems enjoy greater familiarity among its users. The OS X is less prone to virus attacks when compared to its counterpart. However, it is the Windows 7 users the have more advantages when compare to those who use Apple OS. When Windows rolled out Vista, Apples OS X was hailed as a far better product than the former.Vista, at that time, was a little clunky and it had a few performance issues. However, Microsoft struck back by launching a better and much enhanced Windows 7, which received a lot of favorable reviews. Windows still continues to enjoy immense popularity all around the globe, and it has a giant market share. Many of the top most companies use Windows as their operating systems for their devices, as it is quite user friendly. Apple has a limited number of software applications that work on its operating system. However, Windows has hundreds of thousands of software application that are tailor made for its operating system. This gives it much greater scope than any other OS. On the flip side, Windows 7 is more prone to virus attacks than the OS X. People using Windows need to ensure that their devices are properly secured with antivirus software applications. Having antivirus software on the user’s system is not enough, as it also needs to be updated with the passing time. As far as the security of your computer or other portal device is concerned, OS X rules over Windows 7.